T-Mobile is showing some love to the 1 million unlocked iPhone owners on their network. Google will no longer be your technical support for users using unlocked iPhone on T-Mobile. 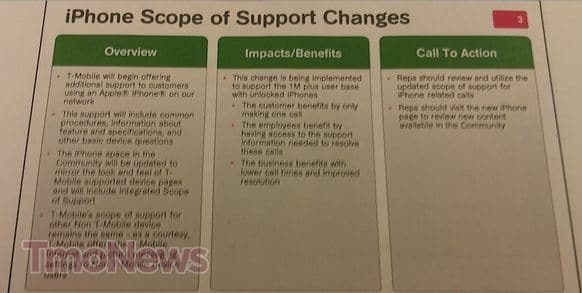 Starting on January 30th, iPhone users using T-Mobile will get additional support for their Apple iPhone, TMonews reports from an internal document they received. The document says that the “support will include common procedures, information about feature and specifications and other basic device questions.” Although they will offer technical support for iPhone users, T-Mobile will not unlock any locked iPhone.